After a car wreck, your personal injury lawyer will have several questions for you. If you can be prepared for these questions, your consultation is likely to be much more beneficial. Your lawyer will be in a much better position to advise you on your case. When did the accident occur? While this seems pretty simple to answer, many times clients are unable to pinpoint the exact date without doing additional research. Be able to provide the time, too. How did the accident occur? In detail. The more detail you are able to provide, the better. You can’t be certain what your attorney will find to be useful, so provide all the detail you can. It’s possible that an expert will be called in to reconstruct the car accident. Details are beneficial. You can even draw a diagram for your lawyer if you believe that will improve your explanation. Were the police involved? If the police were part of the process, there should be a police report. Your attorney will want to obtain a copy of that report. Does the report make it clear that other party is to blame? Did the other party admit fault? If they admitted the accident was their fault, it’s very helpful. It’s even better if that fact is included in the police report. When did you first receive medical treatment? Again, the day and time. Be able to give the precise name of the medical facility. How did you get to the medical site? Were you able to drive yourself? Did a friend take you? Did you get a ride in an ambulance? Can you describe your injuries? Now is the time to give a complete list. It is common, and a significant mistake to only describe part of your injuries. Don’t put yourself in the position to have to tell your attorney 6-months later, “Yes, actually my shoulder has been hurting since the accident. It wasn’t just my hand.” Let him or her know about every single injury related to the accident. Every single one. What tests were done and what did they show? Diagnostic treatments such as MRIs and x-rays can be especially important. It’s possible these were done in follow up visits. Do you believe any of these injuries might be permanent or cause a permanent condition? You might not be a doctor, but your opinion does matter. If you have an injury that feel isn’t healing properly and make cause a long-term or permanent issue, now is the time to speak up. The possibility can be furthered investigated with your physician. Are you aware of the insurance limits of the other driver? It can be relatively easy to recover this amount. It is significantly more challenging to recover more. It largely depends on the assets and other liability policies the other driver may have. Do you have underinsured motorist coverage? 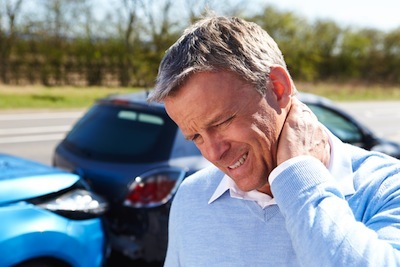 There are many drivers that are either uninsured or underinsured. Having this added onto your auto policy is quite inexpensive. Bring a copy of your policy to your consultation. This insurance can pay you in the event that the other driver doesn’t have insurance or is underinsured. While these aren’t the only questions you’re likely to be asked, they will undoubtedly form the core of the questions you’ll need to answer. For more on personal injury related topics please visit the firm’s blog called Injury News.